There is a 126-square-meter space in downtown Kolozsvár/Cluj-Napoca where you enter as a rookie with tons of questions and leave as an individual ready for action. This is a place where people share knowledge and ideas, and chat about various business opportunities influencing the next generation of the creative class. Enter the K+ community space, which, since its inauguration in early February of 2016, has become the central space for hundreds of events, workshops, and conferences. Located at No.3 Memorandumului Street, the K+ space is part of a complex talent development program running under the name of K+. 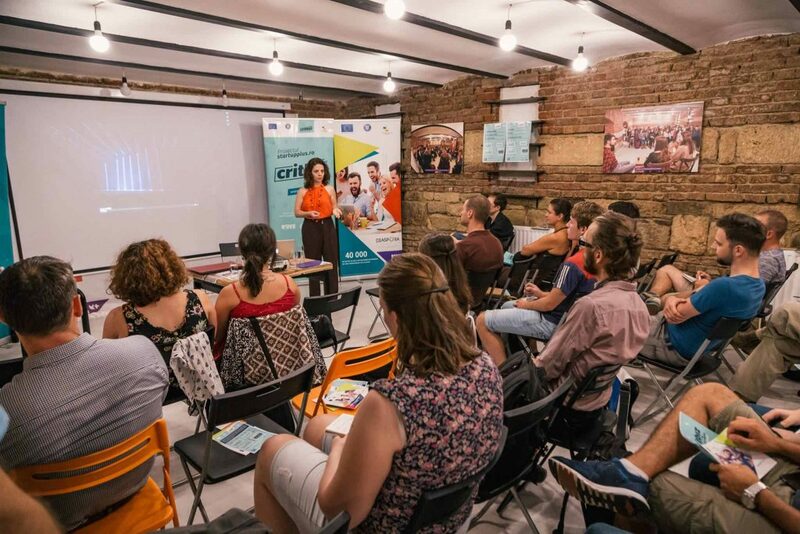 This program is focused on the Kolozsvár region and aims to identify talented youth living in the area, nurture their skills and competences, and guide them through networking events. 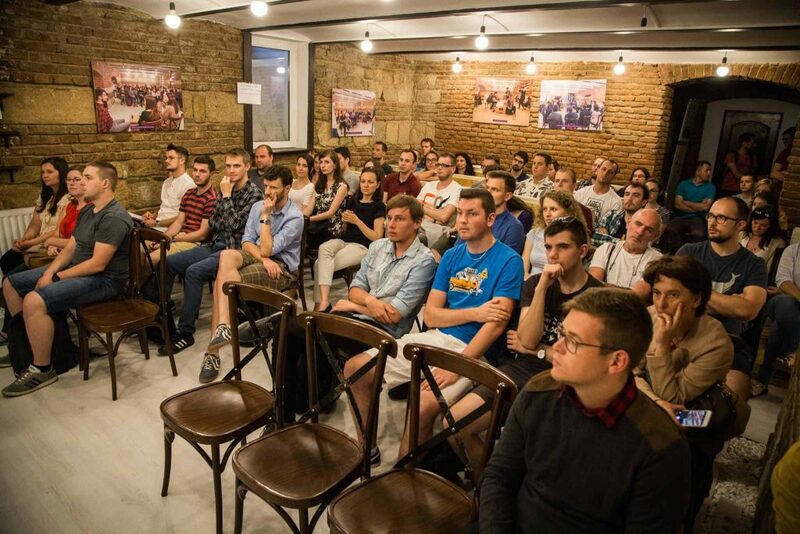 By doing so, these young people will find their place in the world, either by gaining employment or by launching their own businesses, says András Farkas, the coordinator of the K+ Program and co-founder of Kolozsvár-based non-non-governmental organization PONT Group. The program also seeks to connect young people from different types of industries through thematic workshops, professional forums, contests, and conferences. During the events organized in the K+ community space, the program coordinators combine theoretical and practical methodologies. The talent development program is coordinated by the PONT Group in collaboration with the New Generation Center (Új Generációs Központ) from Budapest and the Hungarian Youth Center (Magyar Ifjúsági Központ) based in Kolozsvár, and financed by the Hungarian Ministry of Human Capacities alongside the National Talent Program. “The idea of K+ first came up in 2015, when we were brainstorming how we could enrich the European Youth Capital program of Kolozsvár. The base idea was the Creative Kolozsvár project, but our ideas were embraced by the Minister of Human Capacities, so we were able to think bigger. This is how K+ was born: it became the conglomerate of our vision for the Creative Kolozsvár project and the goals set by our partners from the Hungarian Youth Center,” Farkas says. “What made the joint program even easier to brand was the physical place, the community space located in Memorandumului Street, which served as the scene for a variety of events, workshops, and conferences organized by us,” he adds. Since February 2016, the K+ space has hosted hundreds of events and has been visited by thousands of people. Farkas says they successfully targeted young entrepreneurs, the creative class of the Kolozsvár area, through workshops and networking events offering the participants opportunities to learn from experts in their fields of interest, as well as making new connections to help them start to grow their businesses. If you are planning to visit Kolozsvár, be sure to check out their schedule, because I’m sure you’ll find something that might interest you. If not, it would serve as a good networking opportunity alongside a good cup of coffee or tea.